These Partyline wide, Champagne glasses are perfect for any celebration. Use them to promote your event or give as a treasured party favor. Fun for weddings, reunions, restaurants, Christmas parties, you name it! These products are durable, reusable, disposable, and recyclable. Great for all your catering needs. Partyline Mini Margarita glass is great for all occasions. 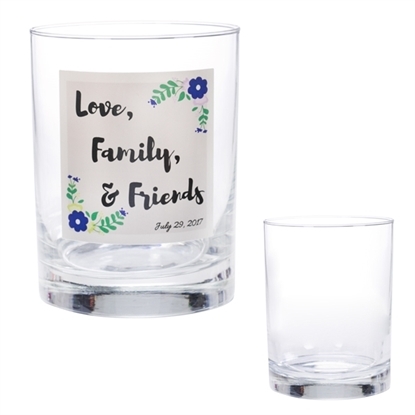 Make your events special with personalized drinkware. Fun for weddings, reunions, restaurants, Christmas parties, you name it! These products are durable, reusable, disposable, and recyclable. Great for all your catering needs. These Partyline, Champagne glasses are perfect for adding elegance and style to any occasion. With unique square shape and wave design. These products are durable, reusable, disposable, and recyclable. Great for all your catering needs. 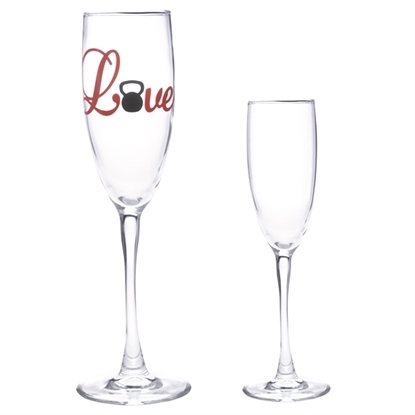 These Partyline Champagne glasses are perfect for any celebration. Use them to promote your event or give as a treasured party favor. Fun for weddings, reunions, restaurants, Christmas parties, you name it! These products are durable, reusable, disposable, and recyclable. Great for all your catering needs. Invest in promoting your brand on a useful and attractive marketing tool, like this 13.5 Oz. Whiskey Glass! Made in the USA from the highest standard glass material, it's perfect for restaurants, bars and more. It comes with a safe edge rim and foot guarantee and features a cylindrical glass design with thick, heavy base bottom for a balanced grip. 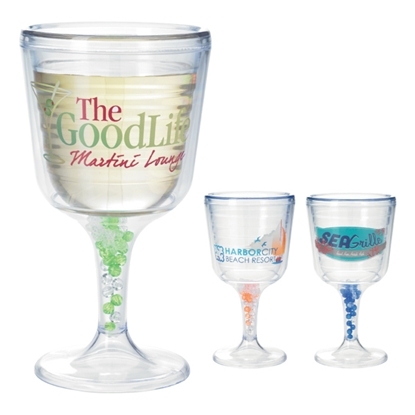 Pour up success for your brand while you serve relaxing drinks to your customers! 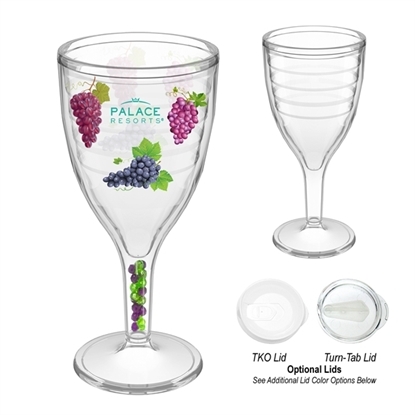 Full Color Wine Tumbler - 12 oz. 12 oz. 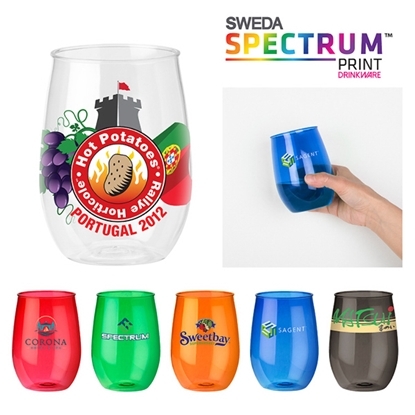 Full Color Wine Tumbler. Choose up to two different colored beads for the stem at no additional charge. 12 oz. capacity when filled to the rim. BPA free, good value. Product size: 4" dia. x 7 1/4"h.
Invest in your brand by adding this 20 oz. Pilsner Glass when you upgrade the look of your barware! 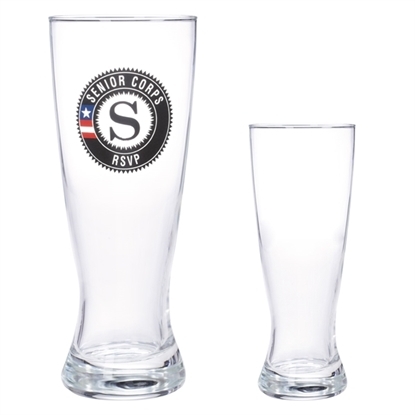 Made in the USA from the highest standard glass material, it features a clear hourglass-shaped beer glass design with a thick base. 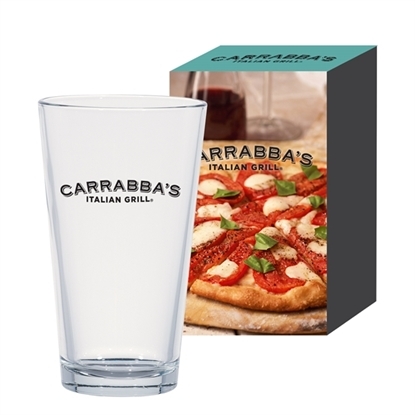 Perfect for restaurants, bars and more, this glass is a great way to spread the word about your brand while serving up tasty ales. Add your name, logo and slogan to create a brilliant marketing tool! Add this Champagne Flute to your barware or catering service-ware for a lasting impression! 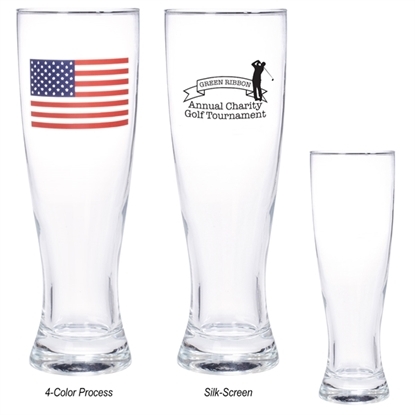 Made in the USA from the highest standard glass material, it holds 5.75 oz. and is perfect for restaurants, bars and more. Add your company's name, logo or marketing message before putting them in the hands of your clients or their guests at various events, like weddings, anniversaries, retirement parties and more. Put a unique touch on your barware! Pour up another great promotion when you use this 16 oz. Pilsner Glass in your next raffle, door prize or incentive! 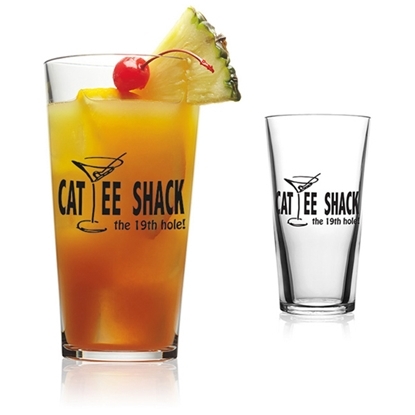 Made in the USA from the highest standard glass material, it's perfect for restaurants, caterers, bars and more. This clear glass features an hourglass-shaped beer glass design with a thick base. Simply add your company's name, logo and marketing message before pouring up the perfect cup of ale for your thirsty clients! Customers will be happy to raise a toast to your brand during the next promotional campaign with this 16 oz. 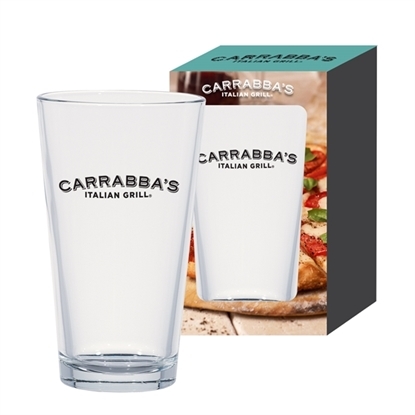 classic ale pint glass with custom box! Both of these items can be customized to your liking - include an imprint of your company logo and message for increased brand exposure on a sought-after gift. It is an ideal gift for bars, restaurants and so much more and is perfect for enjoying a glass of beer or any other drink you desire. Sip to success today! With this 16 oz. classic ale pint class with custom box, customers will be happy to raise a toast to your brand during the next promotional campaign! Both of these items can be customized to your liking - include an imprint of your company logo and message for increased brand exposure on a sought-after gift. It is an ideal gift for bars, restaurants and so much more and is perfect for enjoying a glass of beer or any other drink you desire. Sip to success today! 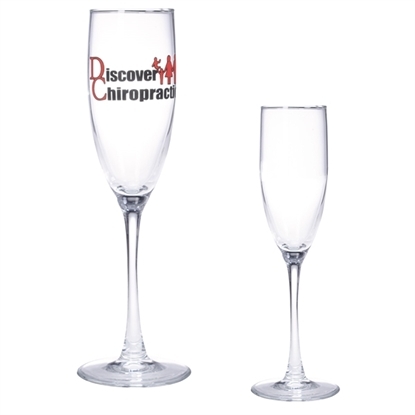 Toast to success for your own brand and others' accomplishments when you add this Champagne Flute to your barware! 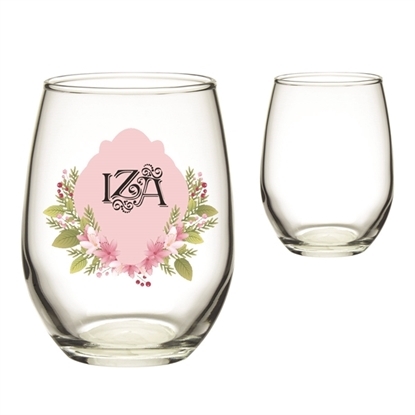 Made in the USA from the highest standard glass material, it features a sleek stem hold and sheer rim and holds up to 8 oz. 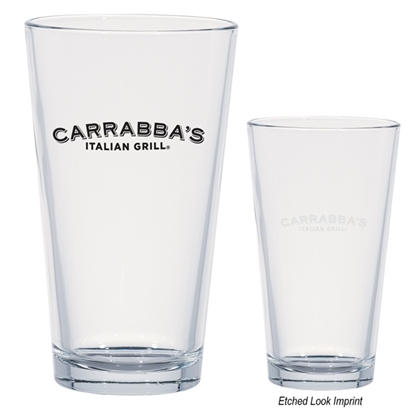 The clear glass comes with a safe edge rim and foot guarantee, making it perfect for restaurants, bars and more. Simply add your company's name, logo or slogan to spread the word about your amazing services! 12 oz. Cool Gear (TM) wine glass with a lid. Keep your wine cool on those hot summer days! This glass has double-wall insulation with freezer gel inside. Measures 3 3/8" diameter x 8 1/8" h and reaches its 12 oz. capacity when filled to the rim. 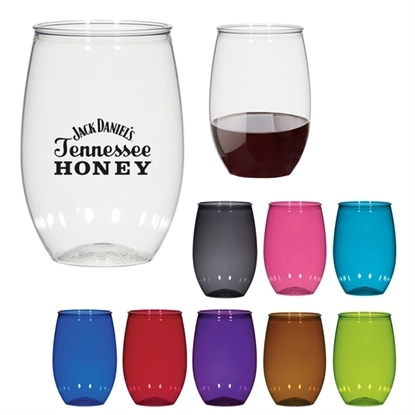 Available in multiple colors, this giveaway keeps your wine cool on those hot summer days. BPA free. 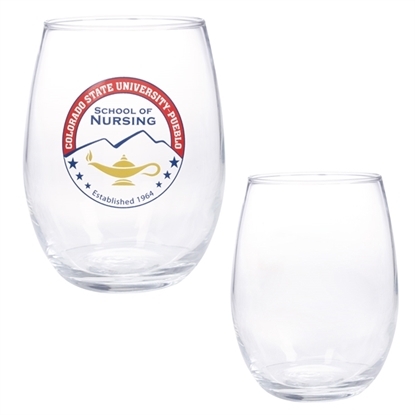 pubWARE (R) Stemless Wine Glass - 12 oz. Comfortable in the hand, your chardonnay stays chilled longer while you relax. 12 oz. stemless wine glass ill not crack, cloud or discolor. Made to look like glass, but it's more durable. Impact-resistant. Keeps beverages colder longer with double-wall insulation. Produces less condensation than glass. Dimensions: 4-3/16" h x 2-3/4" dia. pubWARE (R) Pint - 16 oz. Our BPA-free 16 oz. 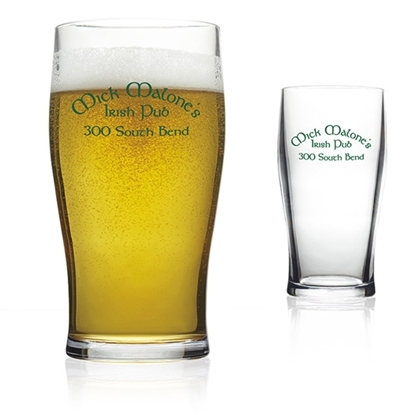 pint glass is the "standard mixing glass" found in restaurants and pubs around the world. Will not crack, cloud or discolor. Made to look like glass, but it's more durable. Impact-resistant. Keeps beverages colder longer with double-wall insulation. Produces less condensation than glass. Dimensions: 6-3/16" h x 3-3/8" dia. AS Material. Double Wall Construction For Insulation Of Liquids. Snap-On, Spill-Resistant Thumb-Slide Lid. Wine Glass Shaped Inner Wall. The Perfect Partner For Boating, Golf, Pool, Beach Or Any Outdoor Activity!. Meets FDA Requirements. BPA Free. Hand Wash Recommended. Add a unique touch to your service with the help of this 12 Oz. Wine Glass! This product is BPA free and meets FDA requirements. Hand wash is recommended. Made of SAN material, it has double wall construction for the insulation of hot or cold liquids. Your unique decoration is inserted between the clear double walls and then ultrasonically sealed to provide the insulation. It reduces condensation, eliminating the need for coasters. Add optional beads in the stem for an extra kick of branding color! Gain a victory for your advertising team with the help of this 10 oz. Martini Glass! Made in the USA from the highest standard glass material, it features a clear glass V-shaped design. 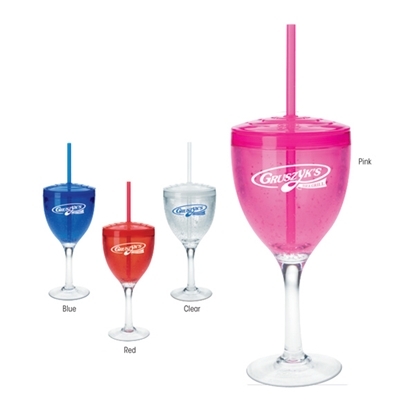 Perfect for restaurants, bars and more, it has a slender long-stem hold and sheer rim. Simply add your company's name, logo, marketing message and an olive to create the perfect look of your tastiest signature drinks while spreading the word about your brand! pubWARE (R) Tulip - 20 oz. Popular with the beer experts, our 20 oz. BPA-free Tulip keeps beer cold to the last sip. Will not crack, cloud or discolor. Made to look like glass, but it's more durable and impact-resistant. Keeps beverages colder longer with double-wall insulation. Produces less condensation than a glass. Dimensions: 6-1/2" h x 3-1/8" dia. pubWARE (R) Stemmed Wine - 12 oz. Our BPA-free 12 oz. 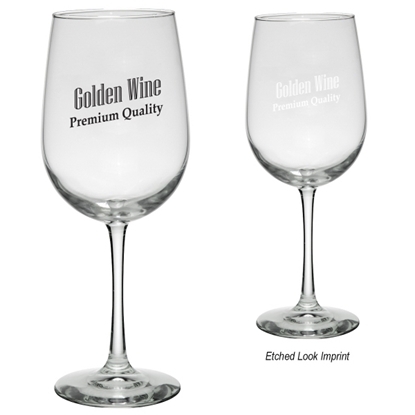 stemmed wine glass features an elegant design reminiscent of the traditional wine glass. Will not crack, cloud or discolor. Made to look like glass, but it's more durable and impact-resistant. Keeps beverages colder longer with double-wall insulation. Produces less condensation than a glass. Dimensions: 7-3/4" h x 3" dia. pubWARE (R) Champagne Flute - 7 oz. 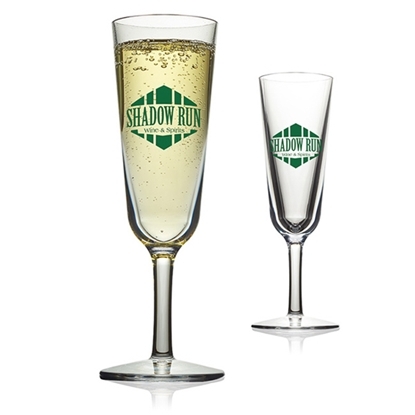 Enjoy a glass of champagne in this elegant 7 oz. BPA-free champagne flute with reinforced stem. Will not crack, cloud or discolor. Made to look like glass, but it's more durable and impact-resistant. Keeps beverages colder longer with double-wall insulation. Produces less condensation than a glass. Dimensions: 8-1/2" h x 2-9/16" dia. 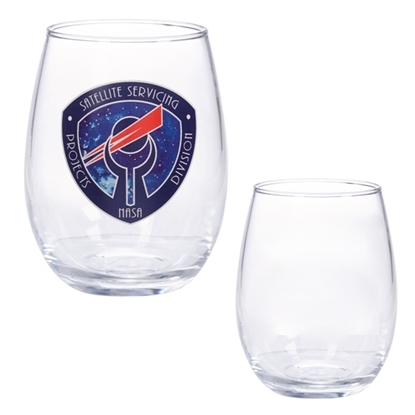 Holding volumes of promotional potential, this stemless wine glass makes a perfect giveaway! Made of stainless steel, this updated take on a classic piece of glassware features double wall construction and vacuum insulation, which will keep your beverage at its desired temperature for longer. It meets all FDA requirements and is BPA free. 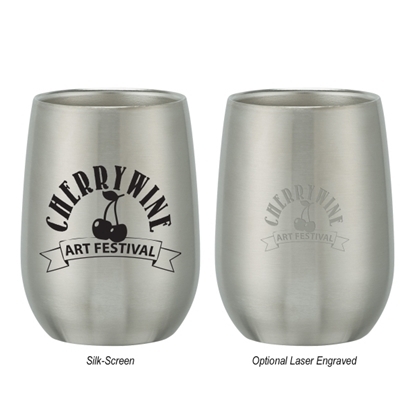 Ideal for wineries, beer gardens and tradeshow handouts, you can add your silkscreen or laser engraved imprint for brand exposure. Please note: this product is hand wash recommended. 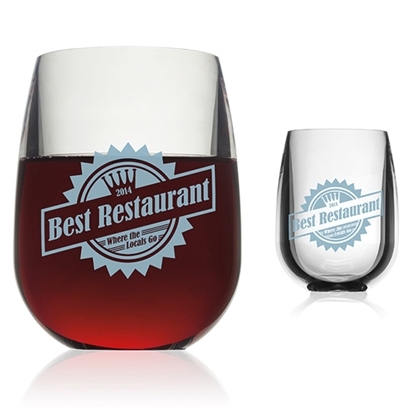 Mypromotionalpens.com offers the largest and best priced selection in Promotional Glass & Stemware. We will price compete and we won't be under sold. 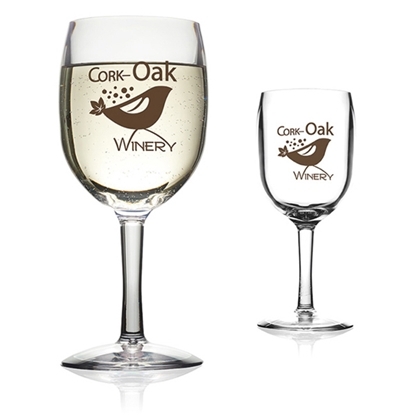 Let our graphic designers make your personalized Glass & Stemware standout above the crowd at no charge. We won't stop until you are completely satisfied with your custom Glass & Stemware art proof.Use category search filters on your left to help narrow your search to find exactly what you are looking for.